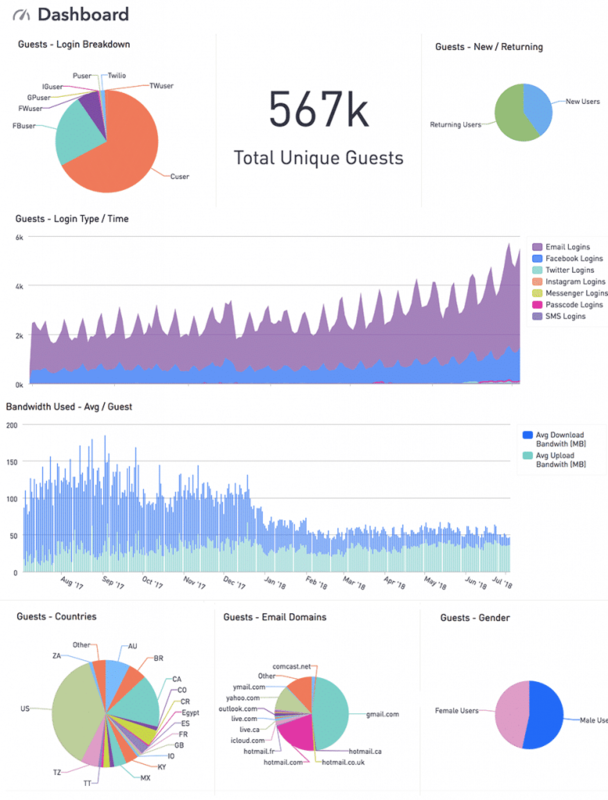 View LIVE activity of connected Wi-Fi Guests, timeline history, demographics, visitor trends and more. 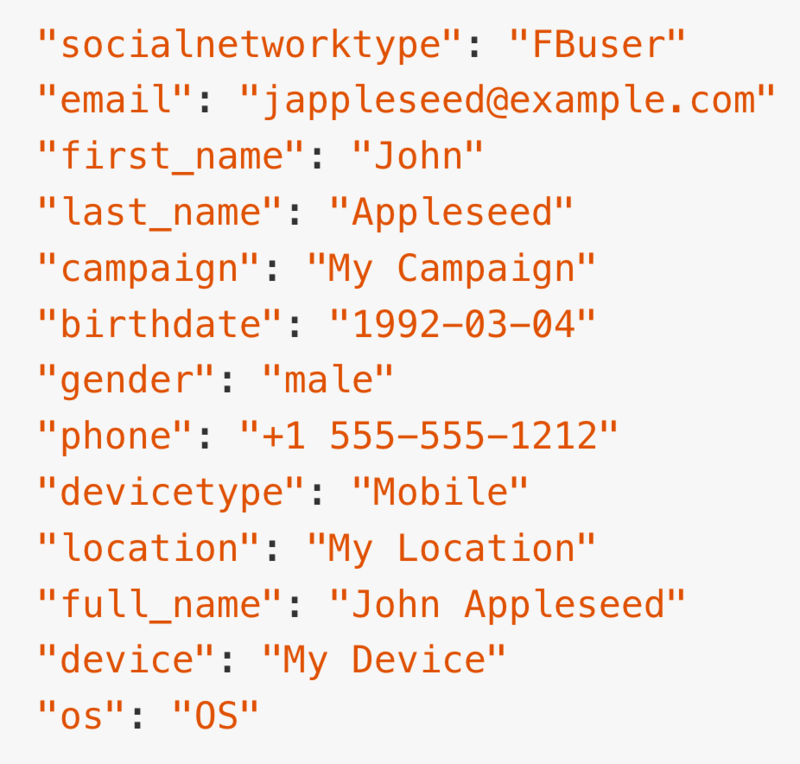 Automatically collect Guest Wi-Fi user profiles from Facebook™ and other social networks, email capture, SMS authentication and organize all data in your Guest CRM. View a timeline of all Guest Wi-Fi users that connect to your network in real-time. 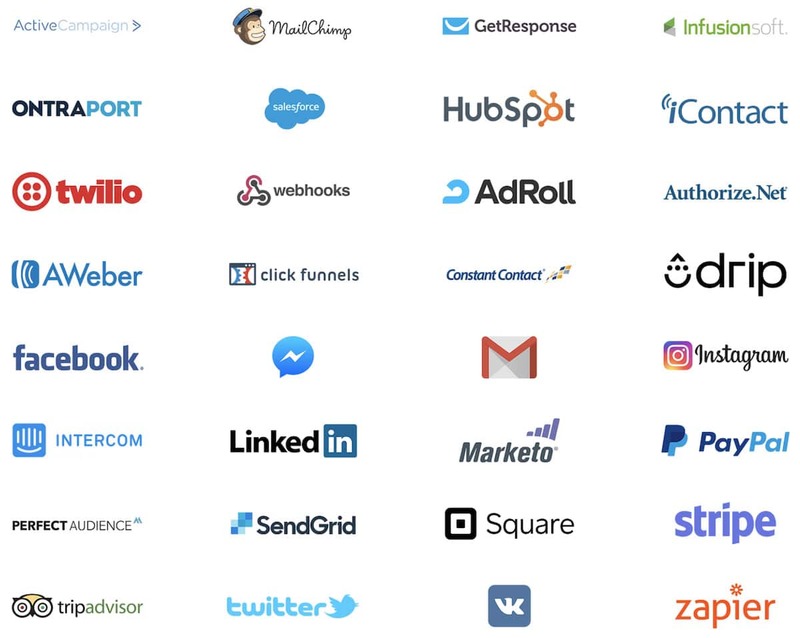 Completely streamlined integrations means you can collect, analyze and transfer your data automatically. Download all data in raw .CSV, PDF report or trigger via instant JSON Webhook. Send your data to over 1,000 3rd-party marketing software platforms.